This sketch isn’t a burst of musical inspiration. Rather, it’s inspired by a piece of software. 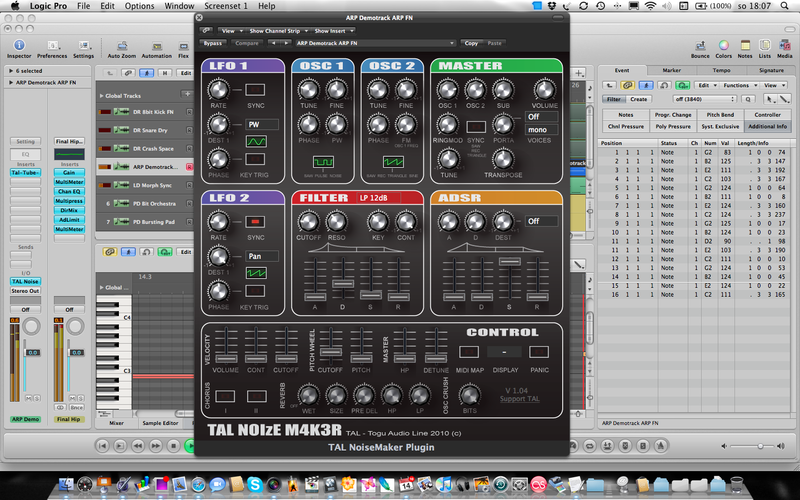 My favorite TAL owner/engineer Patrick Kunz came up with another brilliant and free software synth, NoiseMaker. Again, Rolandesque in my opinion, but this time with really generous specifications and incredible sound results making this synth another workhorse besides TAL U-no and above all the almighty TAL Bass-line (for more info read this post). Build on his previous soft-synth Electro, this mono/poly synth with three oscillators and two LFOs, reverb, 2-stage Juno chorus and bitcrusher for instant lo-fi creates sounds similar in many ways to it’s predecessors, already mentioned Electro, U-no (Juno) and Bass-Line (SH-101) but thanks to its polyphony and independent LFOs you can easily create sounds very similar to 100.000 CZK and critically vintage Roland Jupiter. Don’t expect miracles but you’ll be surprised. I found it absolutely inspirational and I felt in love with sounds of this synth immediately. Later on I discovered some bugs with reverb and LFO sync, but nothing what should stop one from using it on a daily basis in a studio or live. Comes for Mac and PC, 32 and 64 bit versions. 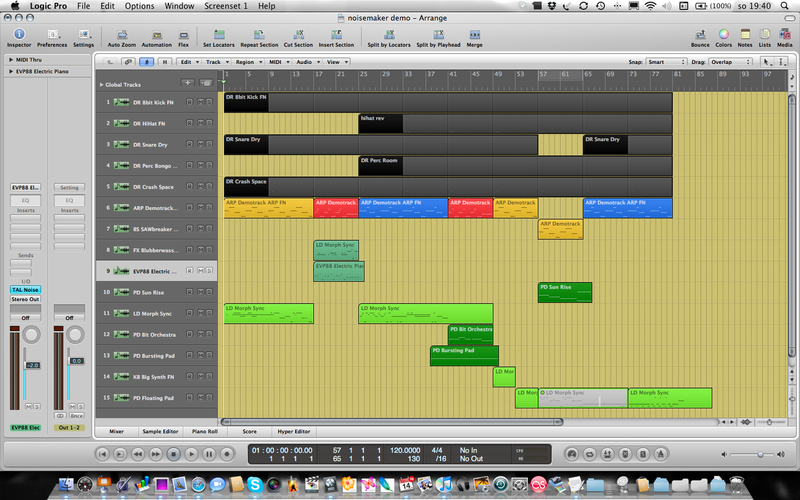 AU and VST. Recommended for everyone who thinks that analogue synth sound in software version is still better than having a hardware workstation packed with last up to date super sounds. This demo is created entirely on TAL NoiseMaker hosted by Logic 9 with couple of Logic plug-ins and TAL Tube on the bass synth line.